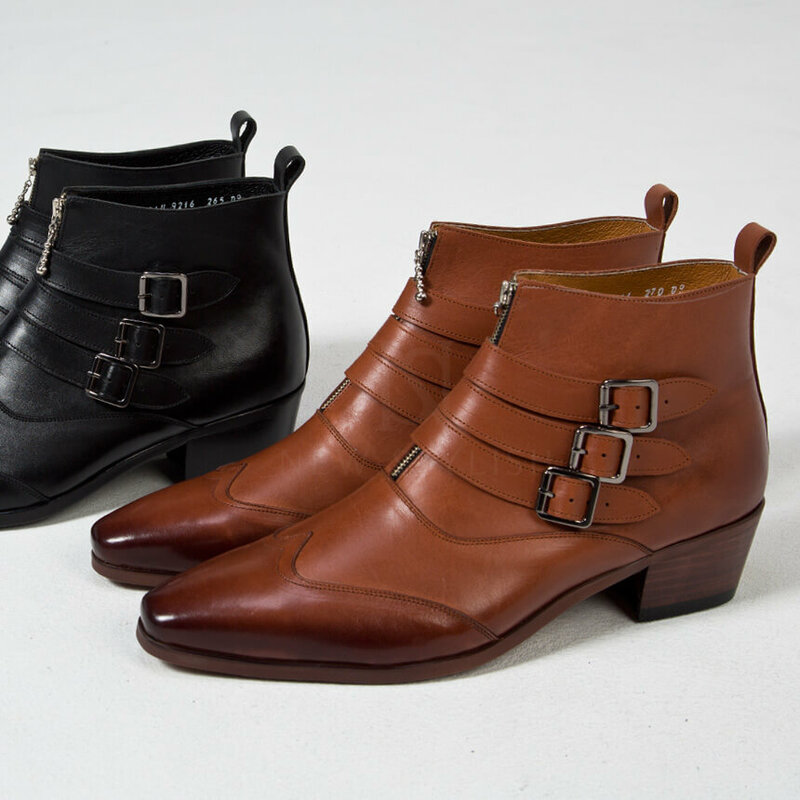 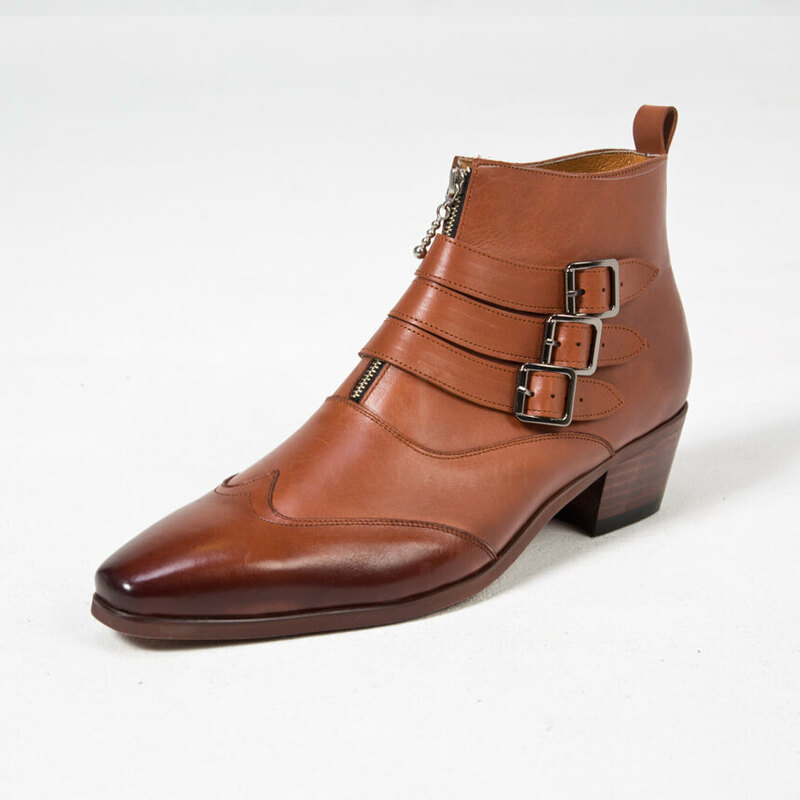 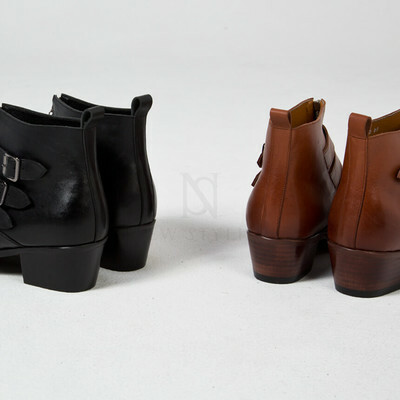 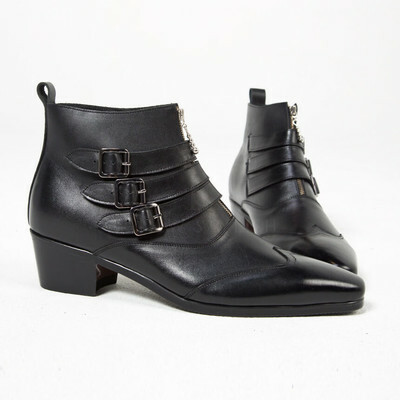 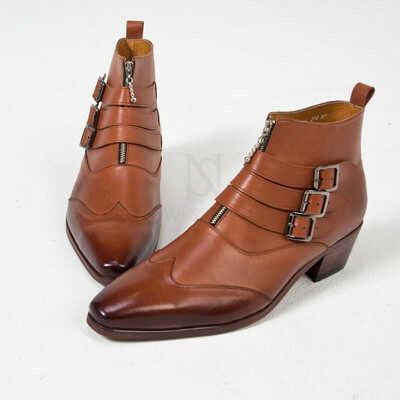 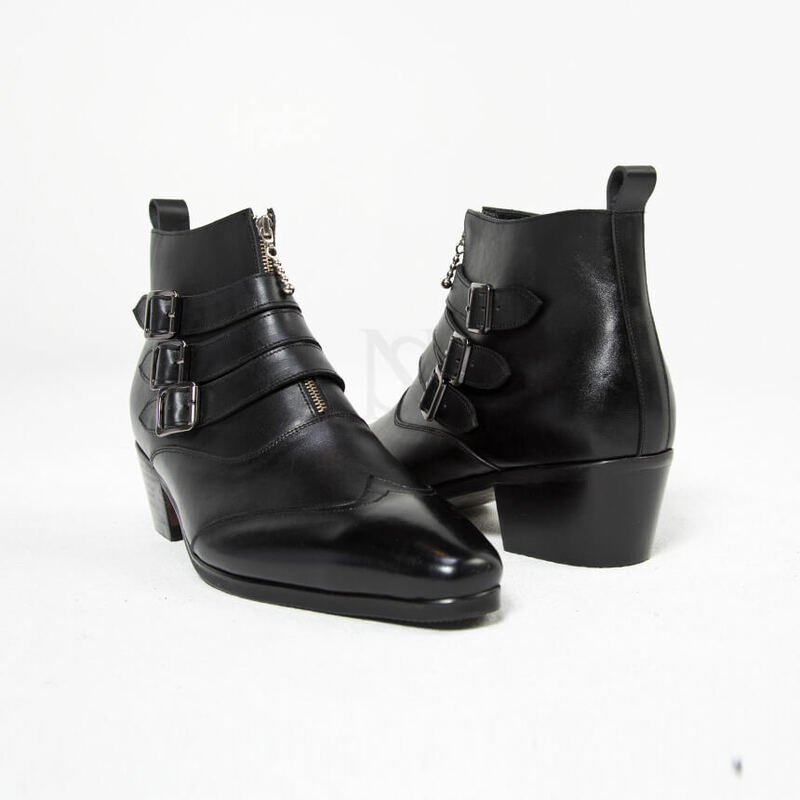 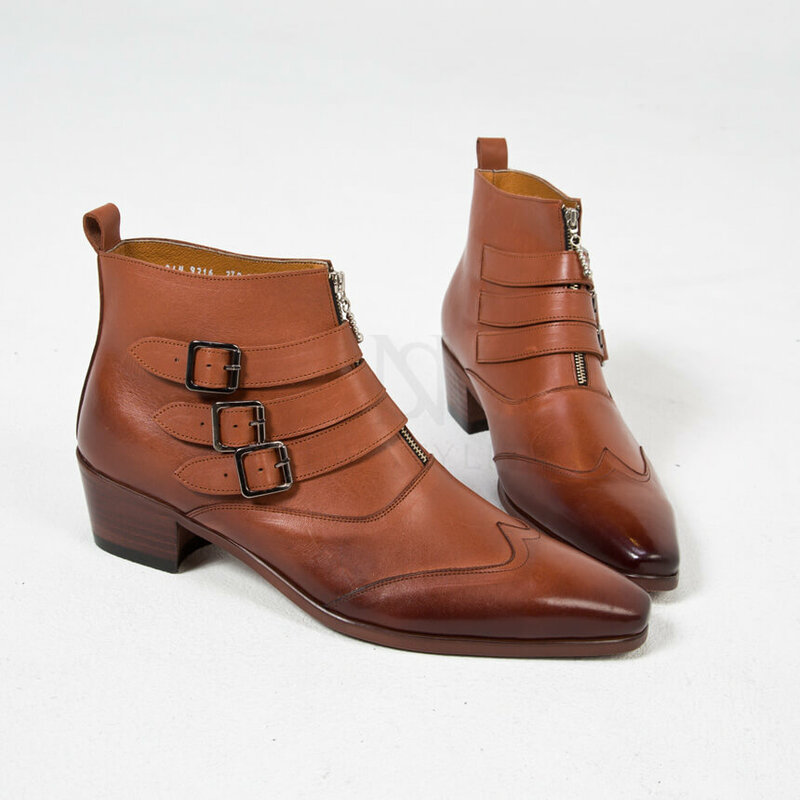 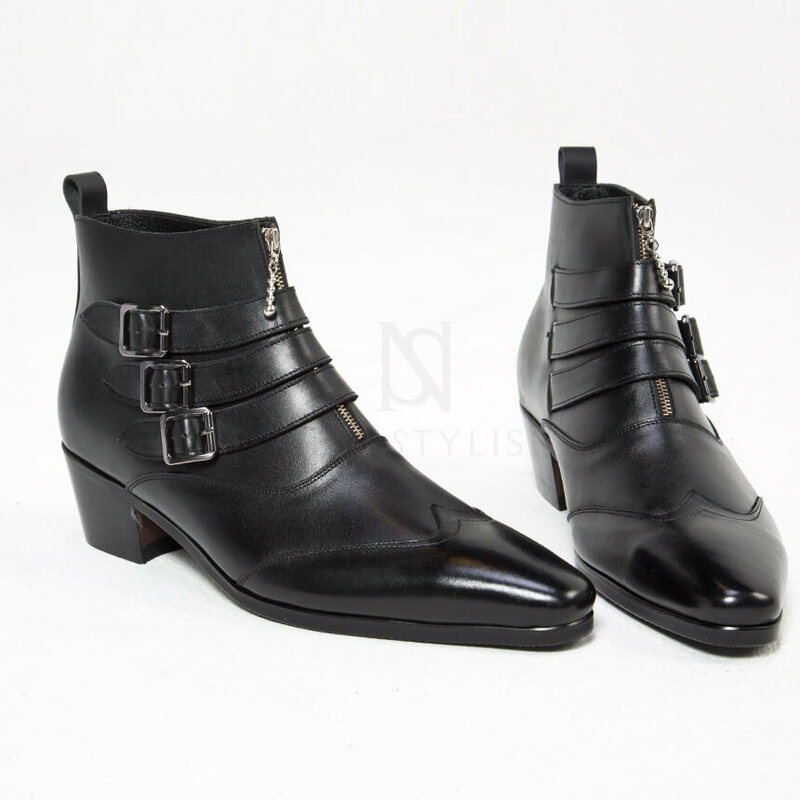 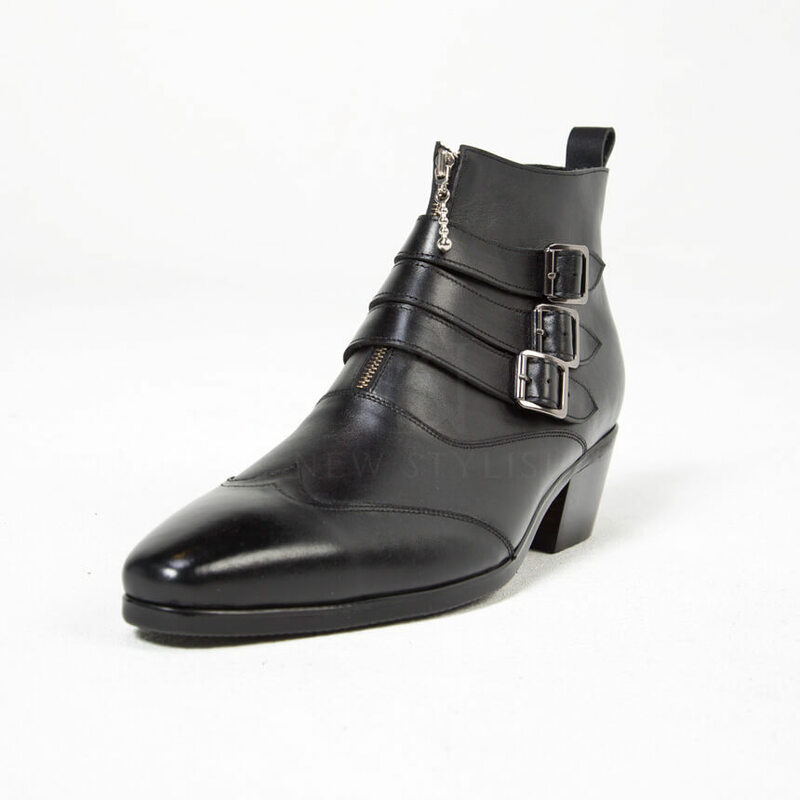 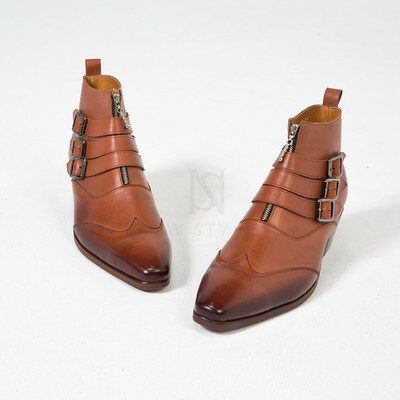 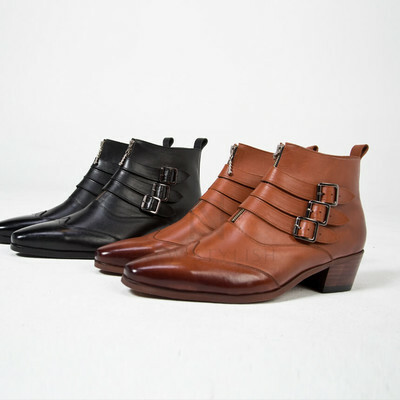 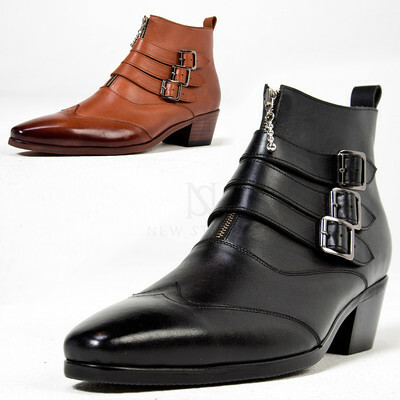 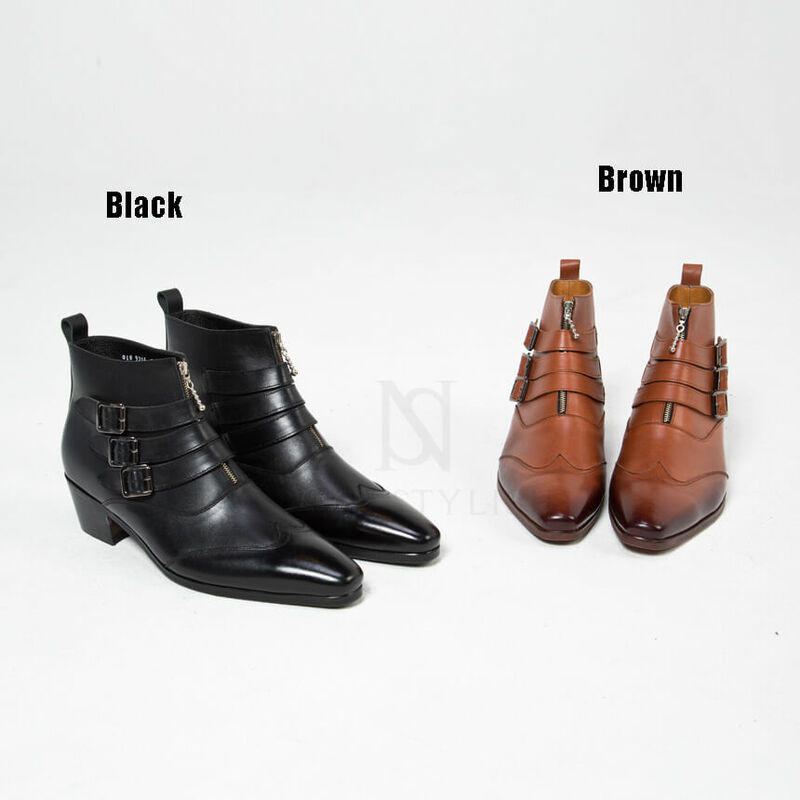 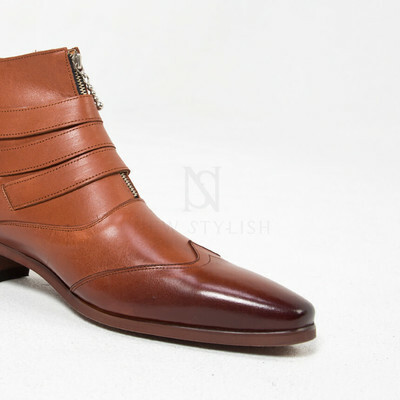 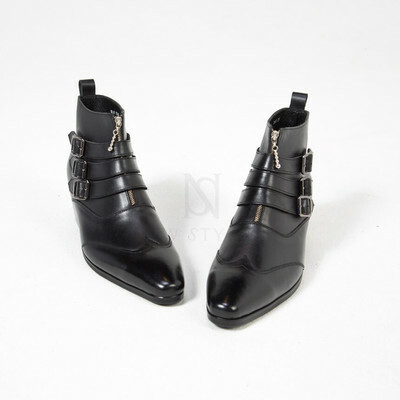 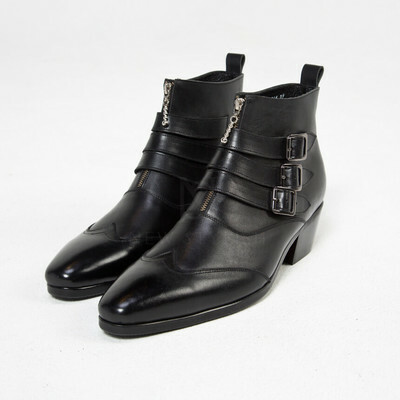 Shoes - Triple buckle wing tip high heel ankle boots - 478 for only 362.00 !!! 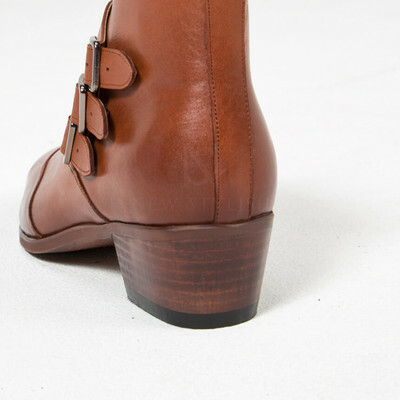 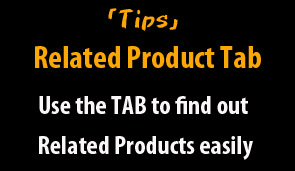 - Snap button closure for buckles, easy wearing. 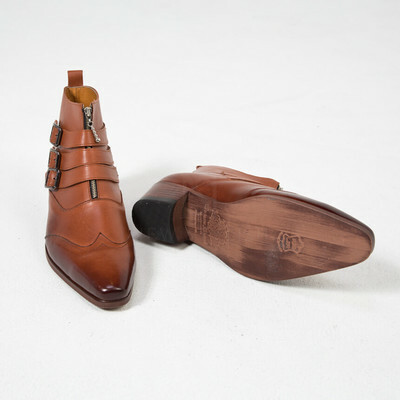 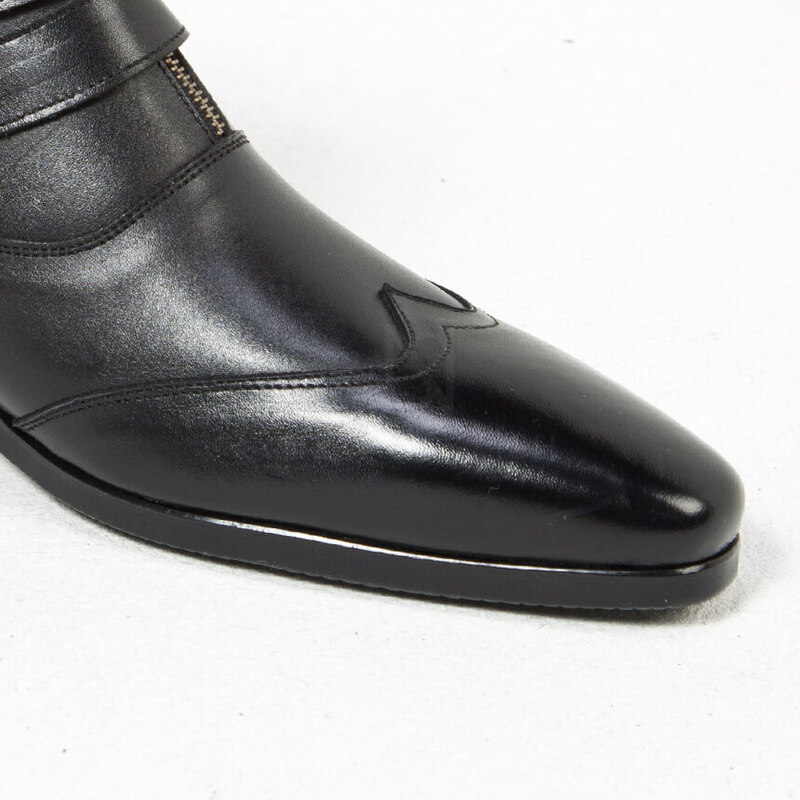 - Wing tip with plain toe. - 3cm(1.18 inches) or 5cm(1.96 inches)tall heel.